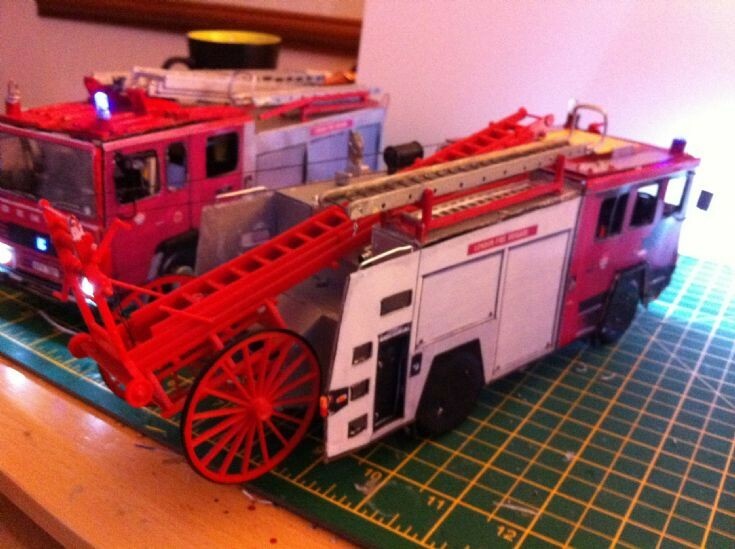 Scratchbuilt 1:32 Scale Shelvoke Appliance YHV 194T carries the Wheeled Escape from the Airfix 1914 Dennis Kit. Added by Bristol Bob on 01 August 2012. WOW! Awesome model making skills there! Added by Danny Boy on 14 December 2012.